Yesterday I arrived again to Miami from Medellin, where I gave three conferences invited by ACEF (http://www.acefantioquia.com/). 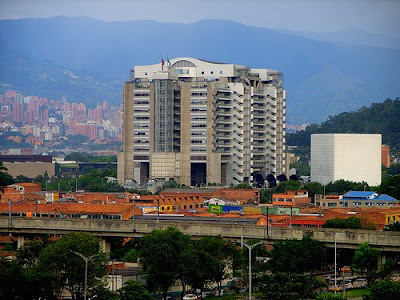 The first one was in the Medellin Intercontinental Hotel to around 50 members of the association, leaded by its President, Jorge Enrique Múnera Durango, and its Executive Manager, Nohemy Patiño Lemos. The audience was plenty of managers of leading companies in Colombia: Servicio Nacional de Chocolates, EPM or Bancolombia, among many others. After lunch, I had a session with managers from Corbeta, and then another with managers from EPM (http://www.eeppm.com/epm/institucional/index.htm). After the conference, with part of the board of ACEF. 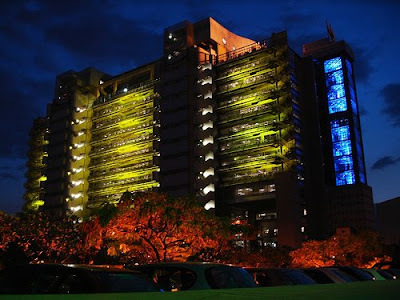 The EPM flag building at night. The EPM building is located in the middle of Medellin valley.